"Mubarak must step down now. 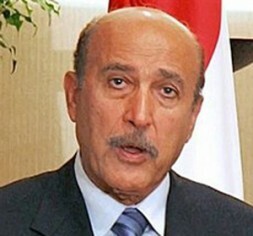 Egyptian Vice-President Omar Suleiman should take over the lead as new President now and appoint Mohamed ElBaradei as his Prime Minister combining the respected armed forces and the new reformers in a new Government of Unity and Reform." The Egyptians, the Arab world and the West should support a better Egypt – respectful of human rights, religious freedom and economic growth with patience, a long-term plan and six rules to gain democracy and not another dictatorship. 1. We must learn from the thinking of Albert Einstein who, in unknown situations like this said: “Imagination is more important than knowledge” and “The significant problems we face cannot be solved at the same level of thinking we were at when we created them”. We need creative foreign and domestic policies with fresh new ideas for the people of Egypt to manage the transition process over the next ten years including all elements and the majority of young people in this country. 2. The number one priority is to avoid a repeat of Iran in 1979/80. What started as a liberation movement from the Shah ended in the worst totalitarian rule in any Islamic state, from hope to nightmare as was accurately described in George Orwell’s famous novella “Animal Farm” in 1945. Never underestimate the drive for total power on the part of determined radicals who start soft but end hard, talk about the nation and freedom but eliminate all other political forces step by step. Nobody should underestimate the strength of the current core-Islamic radical movement of the Muslim Brotherhood, which on the surface seems to be moderate and diverse with elements who see a Turkey as a model and others who have an Islamic dictatorship as a political aim. They are integrated, but at heart promote dreams of a more radical, totalitarian Islamic Republic with no room for the Christian Copts or equal rights for women or democracy. The Brotherhood knows almost nothing about economics and how to stimulate new jobs, foreign investments or tourism. But with its social and grassroots network, it is the only Egypt-wide political movement. It is as unpredictable as the Sphinx in Giza. Would they ever except a multicultural Egypt, including Coptic Christians, or peace in the region? As Wikipedia states: “The Society of the Muslim Brothers (often simply Al-Ikhwan, The Brotherhood or MB) is an Islamist transnational movement and the largest political opposition organization in many Arab states. It is the world's oldest and largest Islamic political group,and the "world's most influential Islamist movement." It was founded in 1928 in Egypt by the Islamic scholar and Sufi schoolteacher Hassan al-Banna. The Brotherhood's stated goal is to instill the Qur'an and Sunnah as the "sole reference point for ... ordering the life of the Muslim family, individual, community ... and state". Since its inception in 1928 the movement has officially opposed violent means to achieve its goals, with some exceptions. 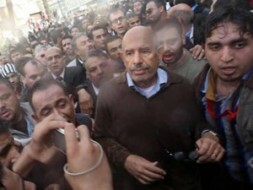 The Muslim Brotherhood is banned in Egypt, and members have been arrested for their participation in it. As a means of circumventing the ban, supporters run for office as independents. The Brotherhood condemned terrorism and the 9/11 attack but whether or not it has ties to terrorism is a matter of dispute. Its position on violence has also caused disputes within the movement, with advocates of violence at times breaking away to form groups such as the Al-Gama'a al-Islamiyya (The Islamic Group) and Al Takfir Wal Hijra (Excommunication and Migration). Among the Brotherhood's more influential members was Sayyid Qutb. Qutb was the author of one of Islamism's most important books, Milestones, which called for the restoration of Islam by re-establishing the Sharia and by using "physical power and Jihad for abolishing the organizations and authorities of the Jahili system, which he believed to include the entire Muslim world”. Should the Muslim Brotherhood reach power, they could emerge like their Hamas friends in the Gaza Strip – as masters of suppression perhaps financed by Tehran, which is praising them already as friends. This worst-case scenario could develop, like in Iran, with a take-over of power within a few years, initially with a moderate President like Bani Sadr in 1980 and later full control by the radicals. The world has to analyze the historical power plays of all totalitarian movements in the past– the Nazis in Germany, Stalin in Russia, and Iran – to understand the mechanisms and dangers and how to neutralize them as a real danger for the future of Egypt. In Germany it took the Nazis a silent 11-year-long power play beginning 1928 when they first achieved real power in the Reichstag to Adolf Hitler’s appointment as Reichskanzler in 1933, the internationally respected Olympic games in 1936 and at the end the start of WWII in 1939 resulting in more than 50 million dead. "Mohamed ElBaradei could lead the reform process in Egypt , collect billions of support for the economy from the Arab states and the West and create jobs for the unemployed young masses as well containing the Muslim Brotherhood movement." The danger for Egypt: too inactive, too naïve and a new progressive constitution with a power vacuum now followed by years of compromises with the radical Muslim Brotherhood who in the end take over control. The country must build up a new, diverse and democratic foundation with new moderate political parties and candidates and a new free constitution which guarantees human rights to all as well as a secular Egypt. This is the litmus test for the Muslim Brothers. 3. Mubarak must step down now. Support of a new Government of Unity and Reform with General and now Vice-President Omar Suleiman at the top as the new President. He should be joined by freshman Mohamed ElBaradei as new Prime Minister in charge together as a new dream-team of the most-influential armed forces and the new forces of reform from the streets. Both should invite a new Constitutional Council with wise Egyptians including some from the Muslim Brotherhood to work on a new progressive constitution. This constitution should be agreed to by the end of this year with parliamentary elections by the end of 2012. To stick to Presidential elections in 200 days could be a mistake and continue chaos. A transition periode is needed now and the integration of respected personalities like judges from the high court or professors and business men. 4. Egypt needs to discuss the human codes of tolerance (see www.codesoftolerance.com) and the real nature of the peaceful and merciful Islam, to promote what the Prophet really wanted and to isolate the unbelievers who promote the killing of innocent people. It does not need repression but an open debate including the rights of the Christian Copts, who make up 10 percent of the population. Egypt needs to return to the aim of the Prophet, which was to create a society of hilm. The Muslims had to pray and live together in peace to preserve the ummah. If attacked, they could defend themselves, but instead of lashing out in the old, uncontrolled jahili way, they must always be prepared to forgive an injury. Automatic, vengeful retaliation – the cardinal duty of muruwah – could be great evil. ‘Hence, whoever pardons (his foe) and makes peace, his reward rests with God’, the Quar’an insisted tirelessly. ‘If one is patient in adversity and forgives – this, behold, is indeed something to set one’s heart upon’ (Quran’an 59:21) The old spirit of jahiliyyah is in too many hearts of the Egyptians. When the Aws and Khazraj tribes again began to attack each other Muhammad hurried to the scene in great distress. ‘Are you still tempted by the call of jahiliyyah when I am here among you?’ he demanded. 'When God has guided you … honored you, and cut off thereby the bond of jahiliyyah from you, delivered you from the state of defiant ingratitude (kufr), and made you friends of each other’(Ibn Ishaq, Sirat Rasul Allah, 386, translation in Izutsu, Ethico-Religious Concepts, 29). Egypt should lead the Islamic rebirth in a positive way of harmony and respect towards other religions. 5. The U.S.A. and Israel should keep the greatest distance from this process, with other Islamic states and the Europeans on the front. But where is the EU? Where is the Arab League? Israel must start a fresh policy of détente and a new double-strategy of power and reconciliation as NATO did versus the USSR with its successful Harmel-Report from 1967 and the German "Ostpolitik" of Willy Brandt. Other Arab states must start a reform process to avoid implosions of their states like in Tunesia and Egypt. What is needed is a responsible elite serving their country and people, rather than the egos of a few rich. They must integrate the Facebook children into society and the too many poor people behind the shadow of new skyscrapers. 6. Egypt cannot become a perfect Westminster-style democracy over night in 24 hours. It needs 20-30 years to develop a real democratic system but should start on this long and painful walk now. Let's support the freedom process in Egypt with patience and with realism and alertness, opposing the forces of totalitarianism cloaked under the cover of democracy to avoid a hijacking of the pro-democracy protests as happened in Iran in the 1980s.